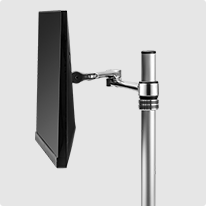 Create, adapt and upgrade with Atdec's flexible range of modular mounts. 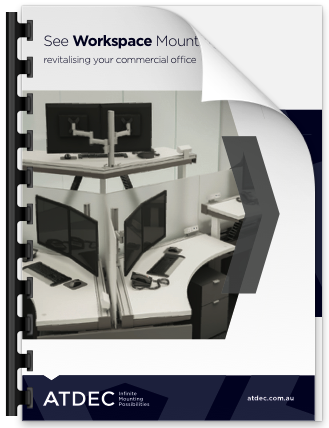 Designed to accommodate multiple screens and notebooks, modularity is the smartest approach to hot-desking, activity based workplaces and multi-user environments. 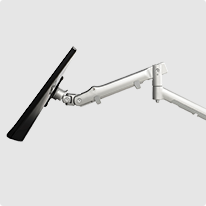 Mix and match your modular components with a cleverly-designed lever-action system designed for agile workspaces. 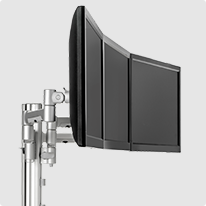 The modular nature of the system allows for infinite configurations and combinations of parts to support various screen sizes, attachment surfaces, and technology. Browse just a few popular solutions to get you going. If you have specific requirements or need expert’s advice we’d love to help. Our team of engineers will work with you to create an optimal solution for your project.